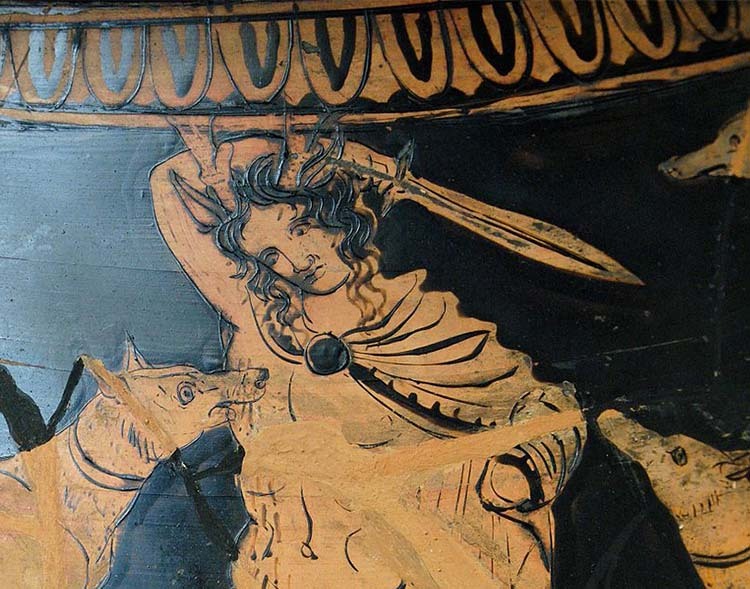 The Greek Xiphos was one of the earliest European swords - a bronze or later an iron leaf shaped blade hung from a baldric that was a secondary back up weapon, though this type of sword was prevalent not just in ancient Greece, but throughout the ancient European world. 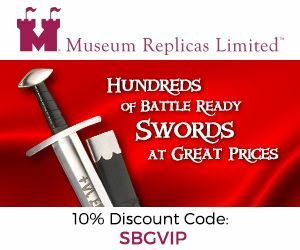 Despite its historical importance, there are very few functional replica Greek Swords, so when a new one comes out, it deserves a close look. 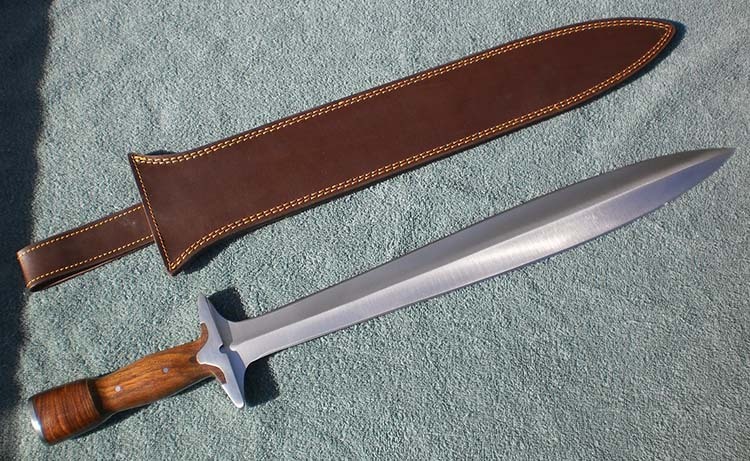 Here is one such sword from Kult of Athena's house brand - Devil's Edge. Also, I was always a fan of Sting from Lord of the Rings since I was young - either the literary or movie sources. Between all of this and the price, it seemed like a no-brainer to me. Admittedly, I am not an expert on historical Greek usage of this weapon. I'm aware it was used as a backup weapon for the 'hoplite' type of Greek warriors - spear and round shield users. It was worn as a sidearm, and only used in extreme close quarters fighting, or if they had thrown or broken their javelin or spear. Xiphos of the time would have been made of bronze or iron, not steel. (Admittedly, I would personally like a bronze xiphos.) 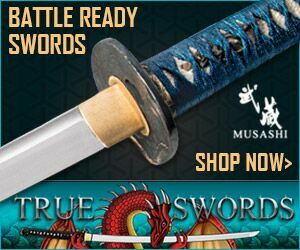 The leaf bladed shape was suited for cutting and thrusting, providing both a wide blade surface for excellent cuts and a reinforced point that would widen any wound that it stabbed into quickly. I doubt the leaf geometry was quite as exaggerated on most historical pieces, however. 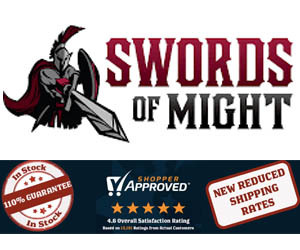 I purchased this sword from Kult of Athena for full price - $139.95 at the time. When I unboxed this sword and first pulled it out of bubble-wrapped packaging, the first thing that struck me was the weight. Actually, the lack thereof was the first thing that got my attention. The woodwork is more than fairly-well done. This is a very light blade - it feels considerably lighter than it actually is (I will touch on this later). The handle feels solidly constructed, and the finish on the steel was quite nice - though I quickly noticed a couple tooling marks... I would notice more distinct problems later. Blade Length: 49.7 cm. / 19.6 in. Overall Length: 65.4 cm. / 25.7 in. 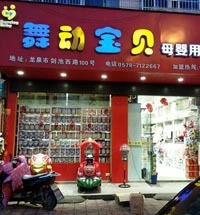 Guard Width: 9.8 cm. / 3.9 in. Point of Balance: 8.9 cm. / 3.5 in. Weight: 807 g. / 1 lb. 12.5 oz. 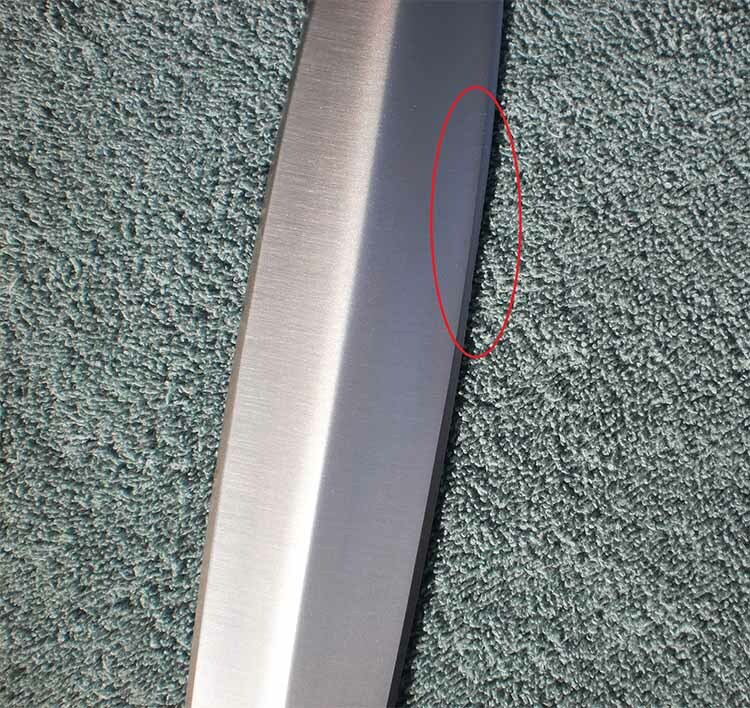 Blade Width (thinnest point, just past guard): 3.3 cm. / 1.3 in. 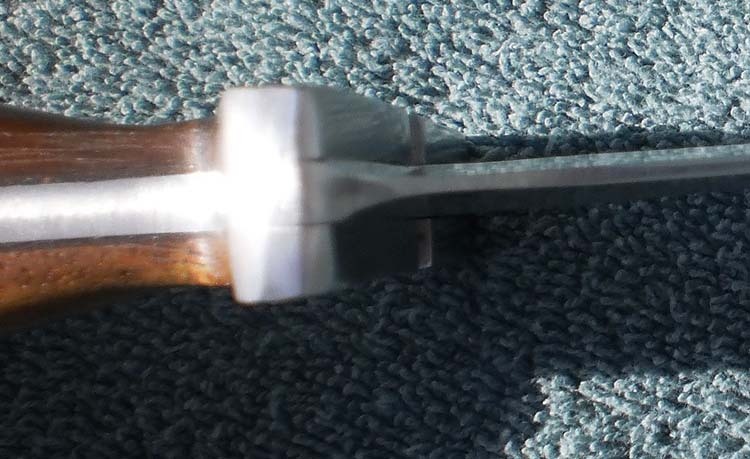 Blade Width (thickest point at leaf <9cm from tip>): 5.2 cm. / 2 in. Good, bad, and ugly are all here. 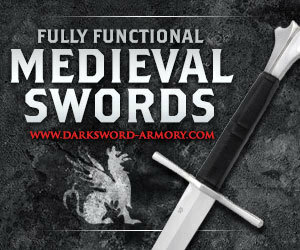 This sword is made from 1095 carbon steel, with a full tang running down through a dual-pinned grip of unspecified, polished hardwood. 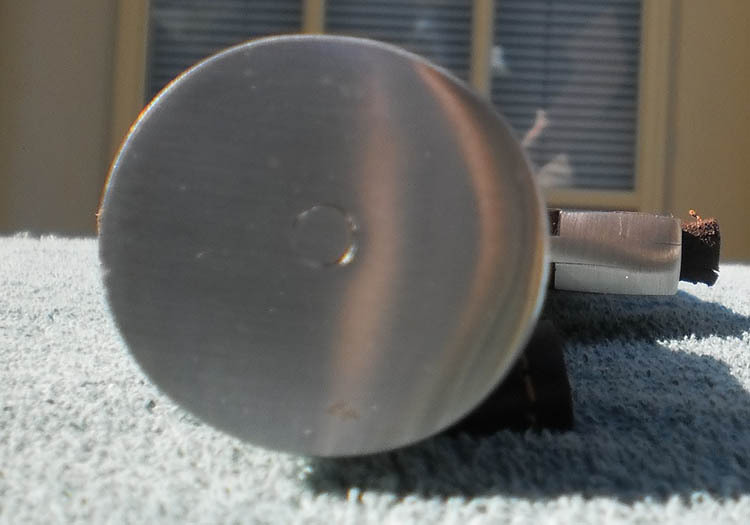 There is an end cap at the bottom, that is a metal disc with a semi-peen to it. 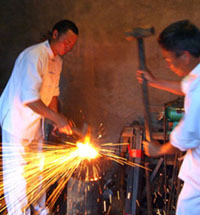 The blade itself is very stiff, given the treatment of the steel and the relatively short length. The leaf blade construction is well done, though the bow-out of the leaf is a little uneven on each side. The polish itself is fairly even, with the exception being the aforementioned tool marking running parallel to the fuller. The blade is impressively sharp as well, except for one thing I will mention at the end of this section. 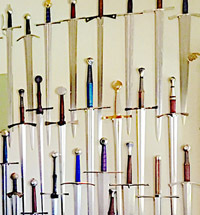 That is awfully good, considering the need to compensate for less mass in the blade than say, an arming sword or falchion. There is some distal taper, but not a great deal. The blade has a nice satin polish, though more of the side-to-side machine polish than anything else. That's some shoddy sharpening work, or a defect that entirely was missed by QA during the production. 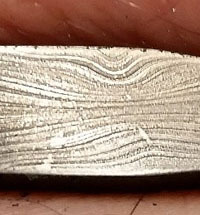 There's also the aforementioned toolmark, running nearly parallel to the fuller near the edge on this side (also in the circle, but harder to see). 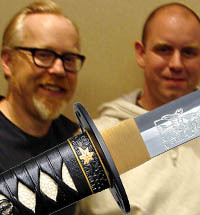 Fortunately, the other edge of the blade is fine. That's right. The blade is extremely twisted to one side. This twist is prevalent through the whole sword. On a more flexible blade, this would likely be a fatal flaw. It at least 'flattens' along that new angle, so you can adjust your grip to compensate. I acquired this sword when I first started collecting, and didn't realize at that point - I probably should have just sent it back to KoA. The tang is pinned between two nicely polished pieces of unspecified hardwood. It's shaped nicely with a good palm swell in the 'grip' area. Even if you have large hands, the 'pommel' gives you additional grip room (as well enabling you to employ a handshake style grip). I don't see this ever becoming a point of failure. As we see on some Zombie Tools and such - the guard is made from metal scales atop the tang, sort of like the wooden grip sides. It's a solid construction that works very well, though it might not look so clean. It does the job of stopping your hand from riding up. This is pretty unique. It's got a cap on the end that looks like it's peened to a rod... maybe welded onto the tang? I have no idea in this case. It's likely that even if I were to pry/break this end cap off, that the grip assembly would still be fine. Judge for yourself on the picture below. 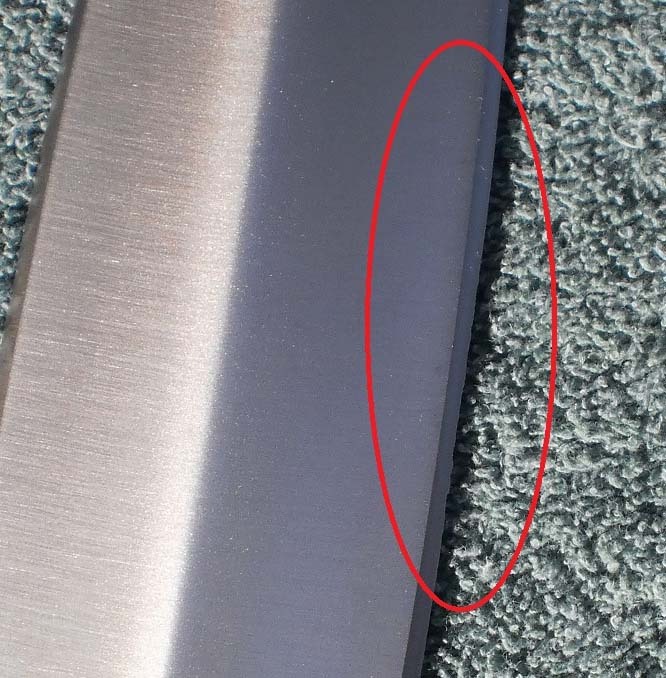 This is one of the few things I am unhappy with about this blade, along with the aforementioned issues. The semi-hard leather sheath is not bad. It is more than serviceable and nicely stitched, with a belt loop. I prefer scabbards for long term storage, but this will do the job, just never let moisture get inside, and don't over-oil the blade. At least it comes with something - and that is an important note for this pricepoint. Here is where this shortsword shines. The point of balance on mine is at roughly 8.9 cm / 3.5 in. as mentioned earlier - this gives it some forward weighting, while still retaining an incredible amount of mobility. I imagine historical pieces of this sword would be of similar weight, maybe a little lighter and more forward-weighted... perhaps with a wooden guard rather than the metal 'scales' of this one. I'm not a particular aficionado of arming swords, nor particularly strong of arm, but this feels light and nimble in the hand - closer to one pound than its actual weight. Point control is excellent, and you could even finger the guard if you would wish - as there is a very small unsharpened area - not quite a ricasso. I've got slightly medium to large hands, but I was able to comfortably get a handshake grip or hammer grip and use this effectively either way. Finally, after winter broke this year - I was able to get some test cutting in. I only cut water bottles, soda bottles, and milk jugs. After compensating for the twist in the blade, and only using the proper edge, I was able to nearly effortlessly cut all three of these target types - with a factory edge! 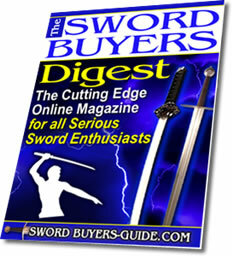 That is awfully surprising to me, considering the difficulty I have with some one handed blades. Thrusting on bottles was likewise effective... and drawing the blade out was always followed by a gush of water from the 'wound' - showing impressive effect of the leaf shape and thickness behind the point. I believe the edge would need a little bit of work before attempting tatami, but I am fairly certain it could be done. I was disappointed with the twist in the blade and the ragged, rough side of the edge. There's little excuse for this, especially coming from a KoA 'house brand'. This is the kind of thing I would expect if I bought a cheaper 'munitions grade' version of the Greek Xiphos for less. Knowing what I know now - I would have exchanged it at the time. However - it is not a loss. It cuts, it is fun, and it still looks fine, as long as you don't look at it at the exact wrong angle. I haven't done abusive testing like Skallagrim did, so I am not certain if the temper is better with this release - but I have tried to bend the blade back into shape with no success at all using blocks, so that says something. All in all? It is just a very fun piece, with nice looks. It feels good to hold and move, and is something different for a collection. I would say this was worth it - the price is incredible, and I am keeping a look out for other Devil's Edge products, as long as they boost their QA game a little at least. If you do get one, I suggest you hold them to it, don't be afraid to ask for an exchange if you run into what I did. If I had one without the defects, it is my opinion that it would be worth nearly twice the price. I would recommend this to anyone who wants an inexpensive, shortsword cutter - or anyone who likes a leafblade design at all. Seemingly fairly historically accurate, with a dash of fantasy. 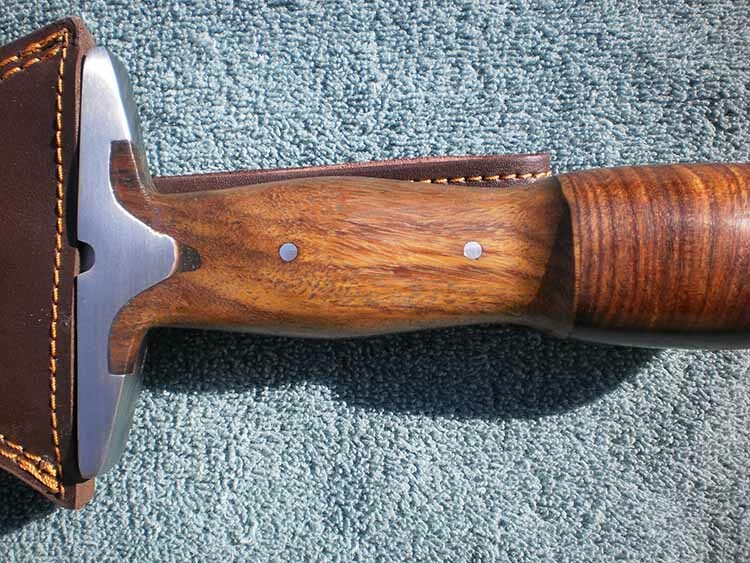 Sheath instead of a scabbard. Edge is ragged on one side, as well as uneven leaf geometry. Blade is twisted pretty significantly. 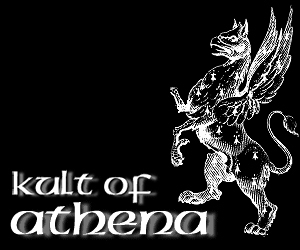 As it is their house brand, the Devil's Edge Greek Xiphos is exclusively available here at Kult of Athena, where it sells for a reasonable price of $139.95 here BUT there is a twist (pardon the pun) - KoA are upfront enough to offer those swords which do have a twist in the blade or significant misalignment for just $89.95 under a munitions grade version you can find here..